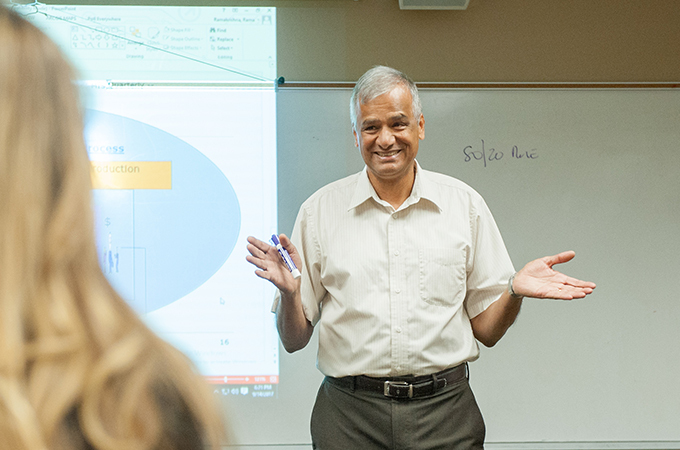 “Going to college was the only way out of my economic situation,” says Hindupur Ramakrishna, a University of Redlands business professor, who grew up in a low-income household in Bangalore, India. Ramakrishna’s father encouraged him—and his eight siblings—to pursue their education. Remarkably, all nine children were first-generation college graduates. It wasn’t easy, though. While pursuing a bachelor’s degree in mechanical engineering at Bangalore University, Ramakrishna tutored his classmates in order to borrow their textbooks because he couldn’t afford them. This profile also appears in the online version of Och Tamale magazine.